A deposit of one night's accomodation is payable within 7 days to secure your booking. This deposit is not refundable. 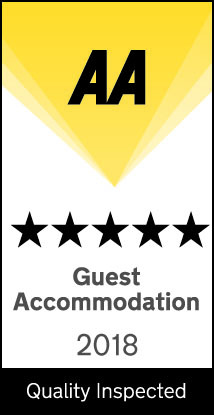 For advanced bookings a minimum stay of two nights applies between 1st June and 30th September. Please also note that a minimum stay of three nights applies at Easter, Christmas and New Year. Between 1st June and 30th September (high season) a minimum stay of 7 nights is required in our apartments. 27 The Terrace guesthouse rooms are adult only however we do offer luxury family accommodation in some of our apartments.